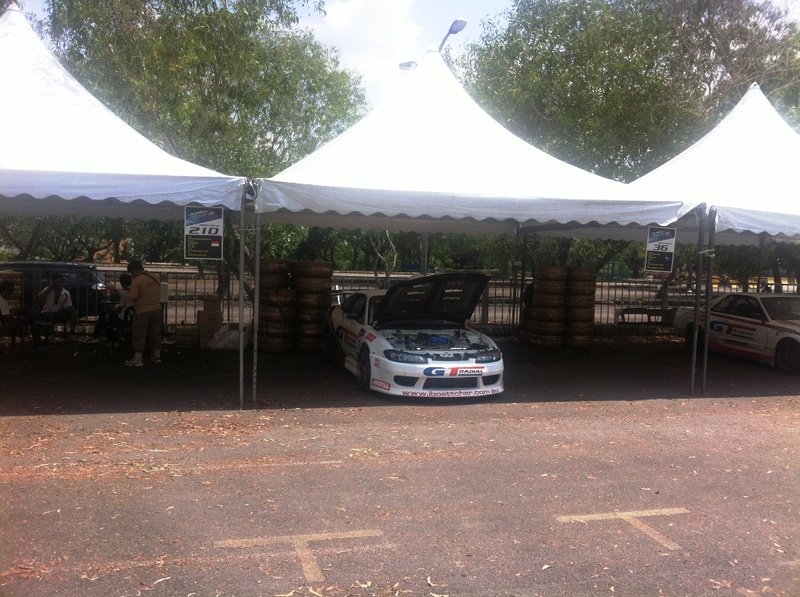 FD Malaysia: Friday – Tech inspection day! 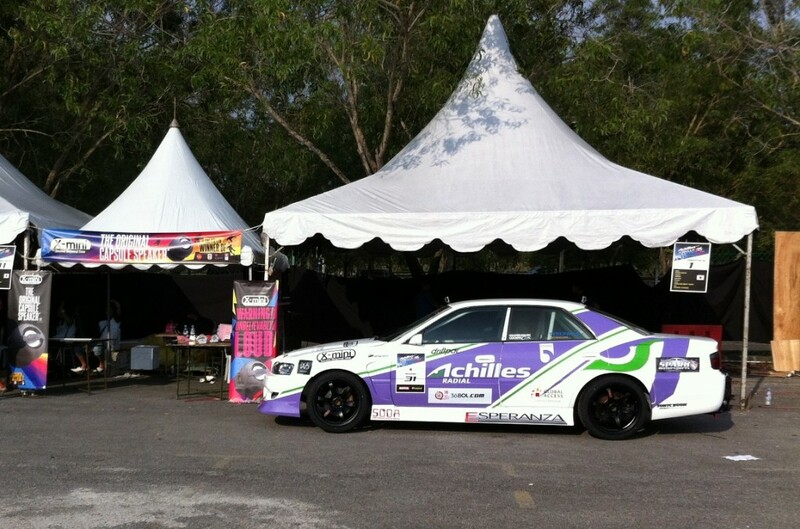 Home » FD Malaysia: Friday – Tech inspection day! So today’s main task was pretty simple, get the car to the tech inspection bay and find out if you had read the rule book correctly. We decided to register and get the tech inspection done as early as possible so if we needed to fix anything, we had time to sort it out. 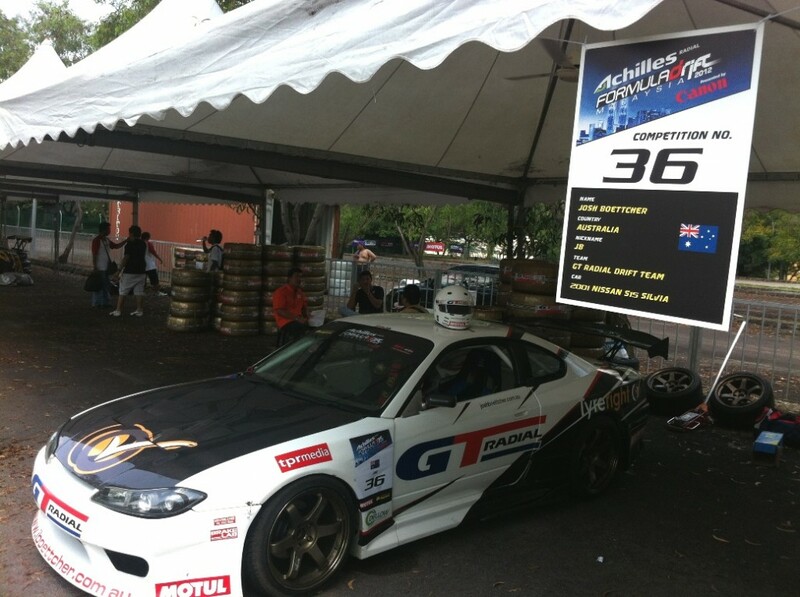 It was Jansen Tan’s S15 running an Aussie LS1 that they had just finished building in time for the event. The car looked great and although it hasn’t got the massive power that a lot of the other competitors have with their 2Js, it of course has plenty of torque! And sounds great too! 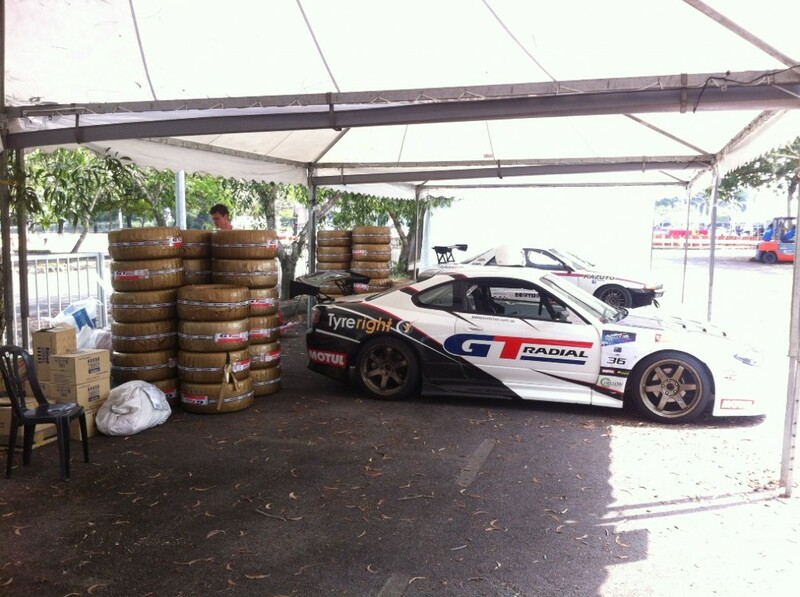 It was then time for our car to go through the tech inspection. And apart from a couple of minor things, we passed! But of course, we had to return once everything was spot on. So went about organizing and installing the front brake light, bigger fire extinguisher and the SFI spec roll cage padding they requested. Once all this was done, we got the final inspection done. Upon closer inspection this time, Technical director and Technical manager Ben and Kevin found that there was an adjustment we needed to make to the roll cage. The tools are now organized to do this tomorrow morning, so we will quickly sort it out first thing and be ready for practice and qualifying! 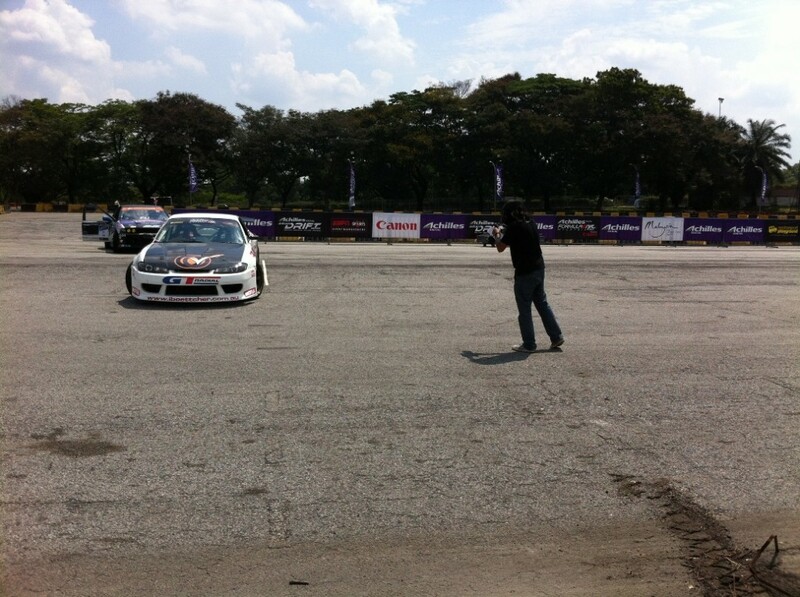 Another part of today was to have the driver and car photos taken that will be used on the live broadcast on ESPN Star Sports. (Live broadcast will be of the top 16 on Sunday afternoon). Daniel sorted out the car shot, while I was waiting for my driver picture to be taken. We also noticed this crazy thing getting it’s tech inspection! 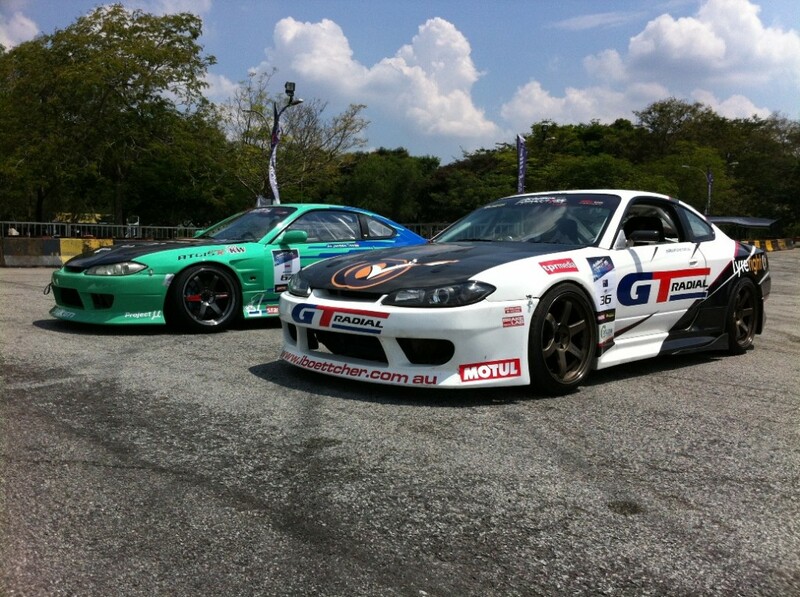 Fortunately for Daigo, there is no horsepower limit… so he passed! This car has only just been put together with final touches including wheel alignment and so on still being sorted ahead of tomorrow’s qualifying. Another car I really like the setup of is Robbie Nishida’s JZX100. It’s really quite simple, but has plenty of power and will work well with the uneven surface here at Speed City. Robbie will certainly be a tough competitor this year. Last year he was only able to compete in a very basic SR20 180sx, so look out now everyone, Robbie’s got some power! 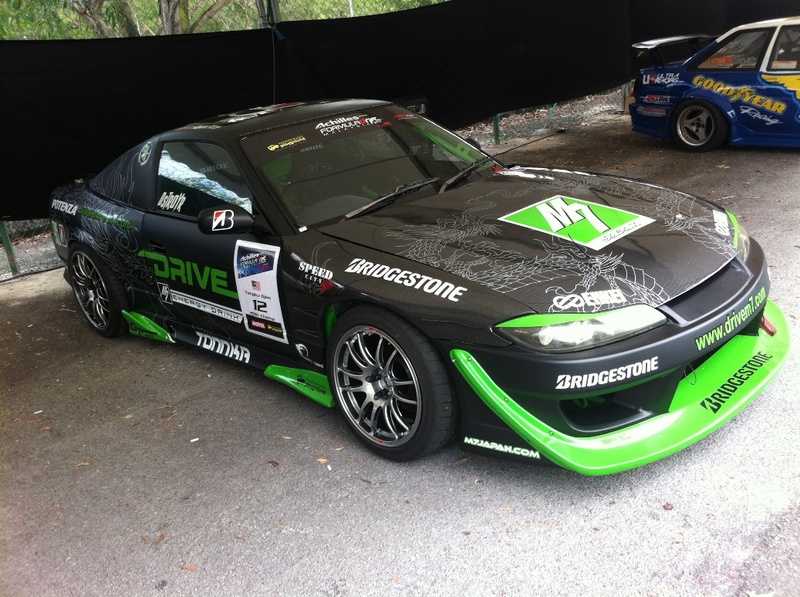 Now this car is certainly one that the locals will be cheering on, it’s the 2010 FD Asia Champion’s S13.5 built specifically for this series! Malaysian Tengku Djan is one of the most successful South East Asian drifters and after taking 2011 off from FD Asia, he will be fired up and ready to win! The last official part of the day was the first drivers meeting to explain the schedule and general ground rules for the weekend. Tomorrow morning we will have another meeting to discuss exactly what the judges will want to see during qualifying. After another very hot and busy day, we went back to the hotel were greeted with this awesome sunset across the lake. 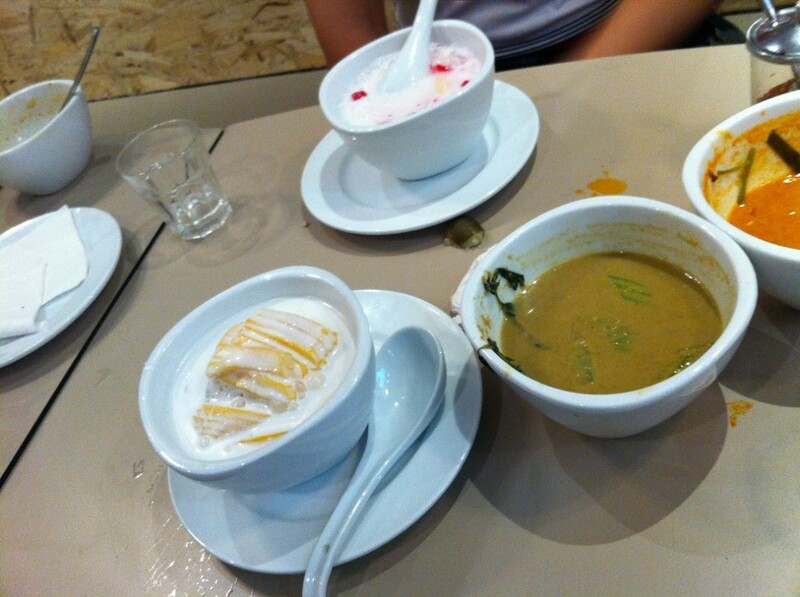 Then it was time for some crazy hot Thai food! Followed by a very different, but very nice dessert! So tomorrow is a super important day. It’s time for practice and the all important qualifying! So wish me luck, and I will do my best to keep you updated when I have any news on my facebook page Josh ‘JB’ Boettcher. 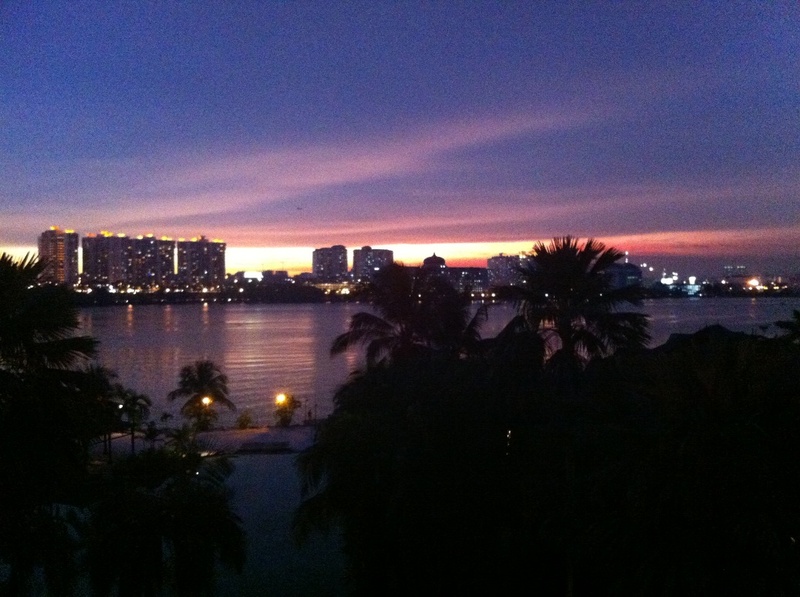 I plan to update you with some great news tomorrow! Stay Sideways!